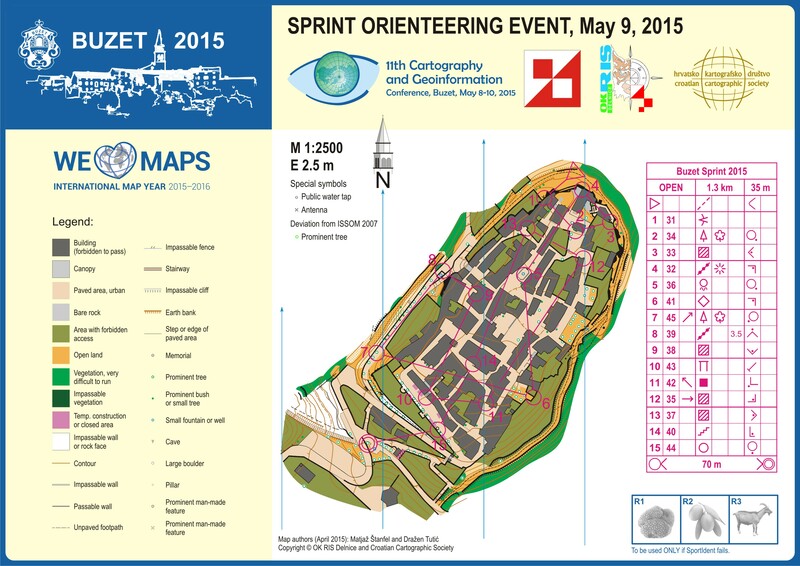 Many thanks to all participants of this sprint orienteering event. 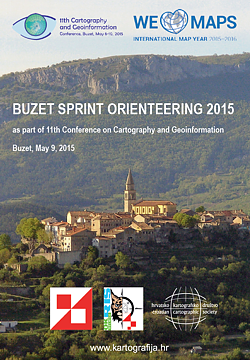 There were participants from six countries: Australia, Croatia, Hungary, Italy, Montenegro and Slovenia. We hope that time and place was just right to spend one beautiful day. Special thanks to Mr Lásló Zentai on finding time for participation on his first Croatian orienteering event and Mr Dušan Petrovič on final check of map and course. Photos by OK Ris Delnice. Map was drawn with OpenOrienteering Mapper, course setting with Purple Pen, final layout and color proofing in vector graphic programme, printed on Monotex L paper, printed by Intergrafika TTŽ, Zagreb. Click on image and download Bulletin for this event. Register for this event on OrienteeringOnline or send mail. Its FREE for all participants. 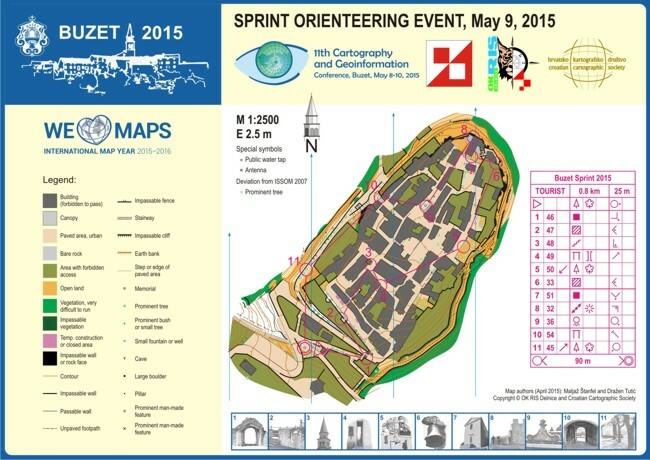 For the first time there will be an sprint orienteering competition organized during the Conference on Cartography and Geoinformation. Participants will be given a specially prepared orienteering map and compass, which they will use to find control points. The winners will be awarded medals and specially designed diplomas. 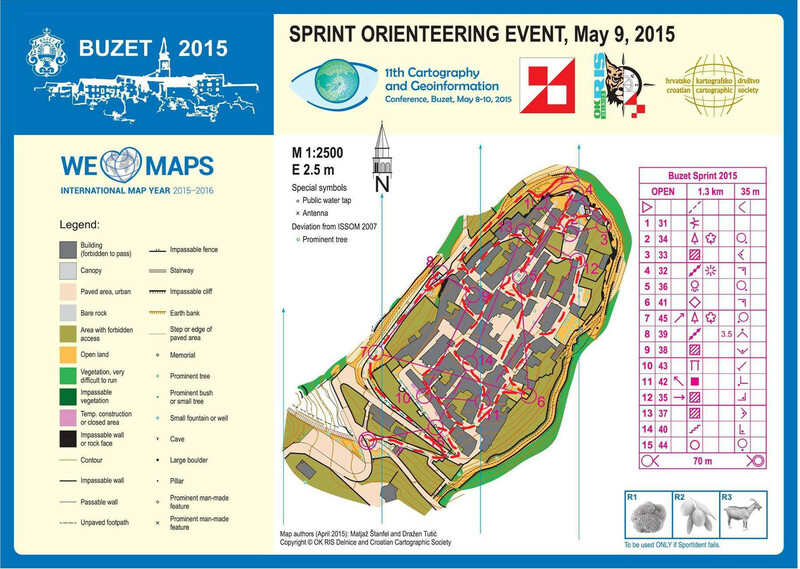 For competitors a chellenging route is prepared through streets of old city of Buzet. For those who do not want to compete, a special touristic orienteering route is prepared in the old city of Buzet which ensure enjoyment in heritage, atmosphere and charm of this beautiful city. Participation is free for all. Registration is neccessary in order for organizers to prepare enough maps. Map: Buzet, 1:2500, e=2.5 m, ISSOM 2007, drawn in April 2015. Terrain: Old city on top of the hill with narrow and irregular streets, canopies and wall around city. More info on this event in Bulletin.